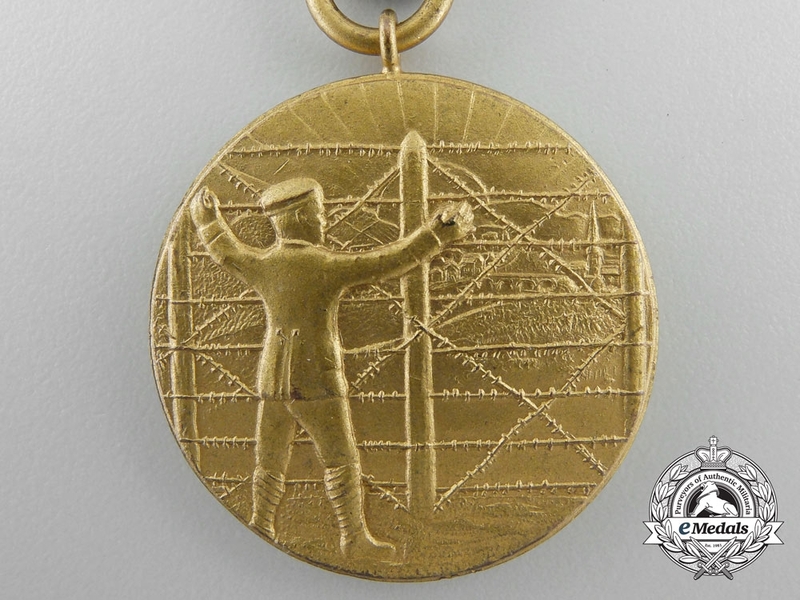 Bronze gilt, obverse illustrating a German soldier, his arms outstretched, looking through a barbed wire fence and viewing a German town, reverse inscribed "IM FEINDESLAND GEFUNDEN, IN DER HEIMAT TREU VEREINT!" 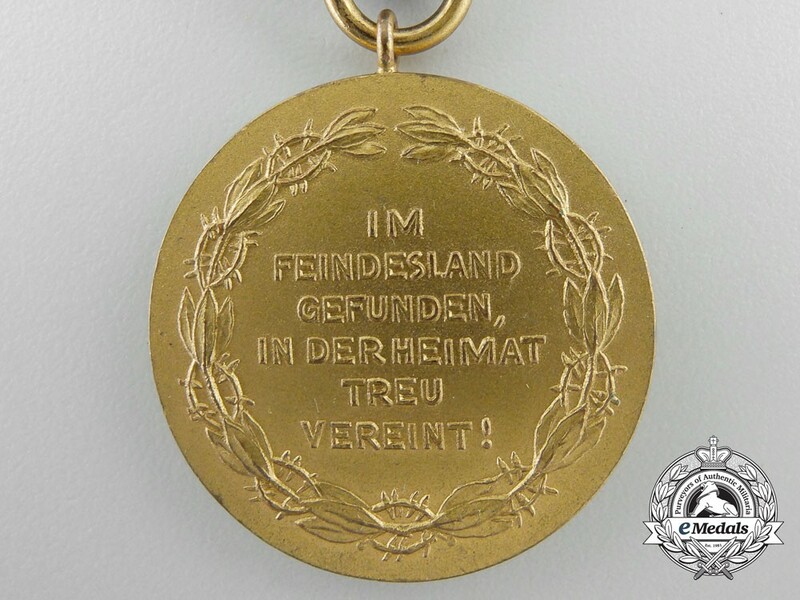 inside an open-ended wreath, 33 mm. 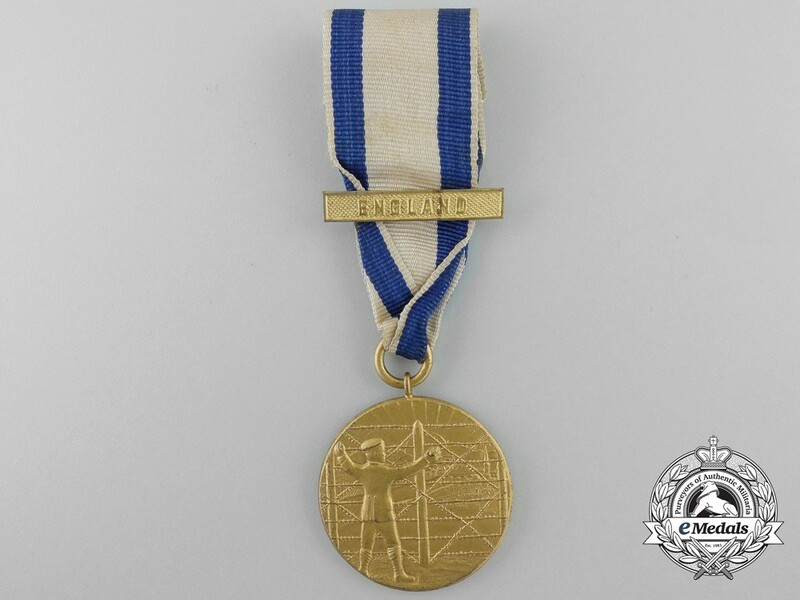 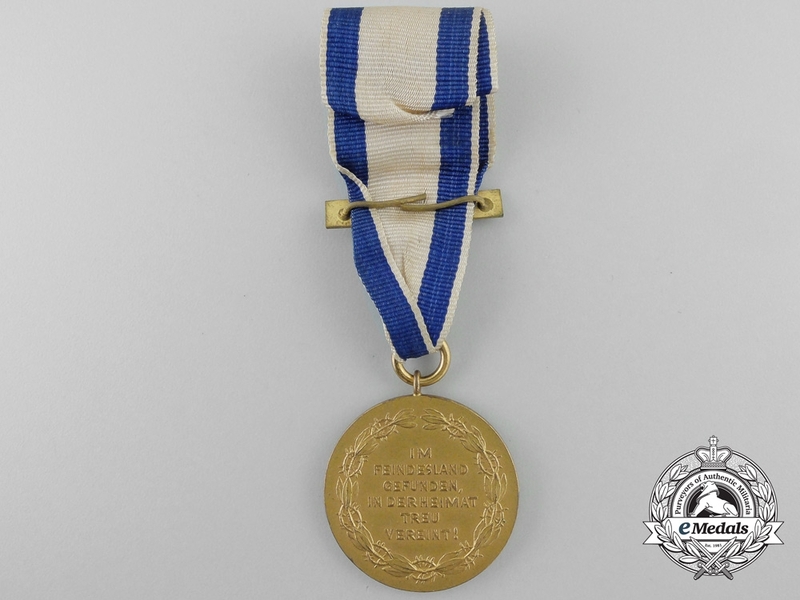 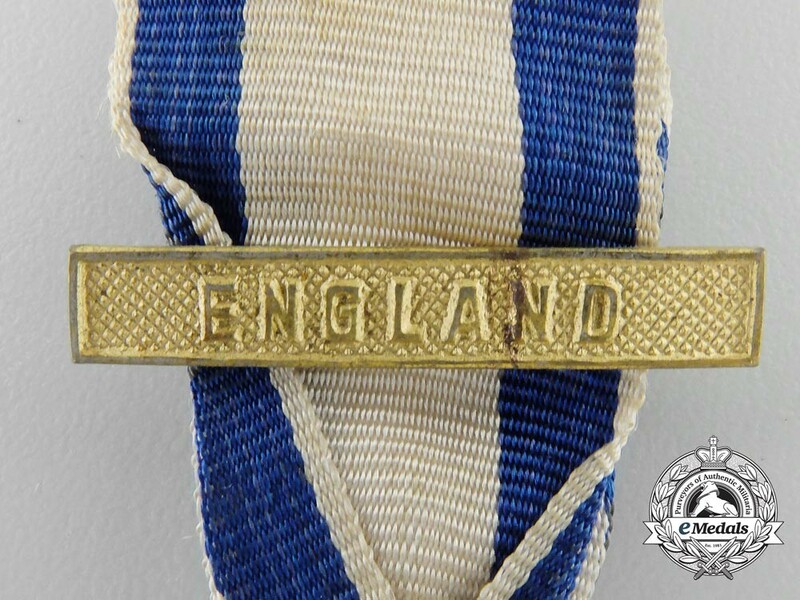 England clasp on an original ribbon, light contact, extremely fine.